Shopping for a new home is always an intricate process, but buying a home in Las Vegas as a senior brings additional considerations to the forefront. Thanks to perks such as low tax rates and an awesome climate, Nevada has the fifth-largest number of migrating retirees (those relocating after retirement) in the country. Whether you are relocating or already a Las Vegas local, there are a few extra items to ponder before signing on the dotted line. Location is one of the biggest factors in any real estate purchase decision, but for seniors, there are other important deciding factors to consider. If you are limiting your driving or rely on public transportation, choosing a home that is close to grocery stores and other essential retail shopping allows you to buy what you need when you need it without worrying about how you’ll get there and back. Also take into consideration where you’ll need to travel for medical care. Las Vegas may seem like a small city, but it can take more than an hour to drive across town. If you live in one area and regularly see a specialist in another, that adds up to a lot of time, vehicle wear and tear, and gas mileage. Most home buyers know about the upfront costs associated with purchasing a home, but it’s the ongoing costs that pose a financial threat for seniors who are on a fixed income. Things like leaky windows aren’t just pricey to replace; they also result in higher utility bills in the interim. From rising property taxes to homeowners insurance to community HOA assessments, the wrong house in the wrong area can result in unexpected financial strain seniors may struggle to deal with. Seniors buying a home in Las Vegas should consider not only what they need today, but also what they may need in the future. It’s not always pleasant to consider the physical limitations that come with age, but a little foresight now can save a bundle later. Remodeling an existing home to be more accommodating is a complex and costly process. It could include removing stairs from the home’s entrance, widening doorways and hallways, adding handrails, changing the height of countertops and light switches, installing grab bars in the bathrooms as well as comfort-height toilets and a walk-in tub. While few people will buy a home with all of these features already included — especially when not all of those features are immediately required — choosing a single-story home with wide hallways and a smoothly paved entryway could save tens of thousands of dollars should your mobility become limited. While younger buyers may be searching for a dream home they can grow into, for seniors, the end goal is different. Being comfortable in your home for the length of time you reside there is critical, but it’s also smart to consider how easy it will be to sell the property if you eventually decide to relocate to one of the many assisted living communities in Las Vegas. The Las Vegas housing market is one of the hottest in the country. With home values and demand both increasing, seniors shouldn’t have much difficulty selling their home when the time is right. The process is even easier when you enlist the services of a local real estate agent who can help you evaluate potential properties for suitability as well as resale potential. How much work do you want to do on your home? The lack of grassy lawns in Vegas pretty much guarantees you’ll never have to worry about mowing, but there are other tasks that come with a higher-maintenance property. You might not be willing or able to garden every day, sweep a large patio or tend to a pool. Recognizing that up front allows you to eliminate unnecessary features and focus your energy — and your budget — on the kind of property that fits your activity level and abilities. To keep stress at a minimum, look for properties with desert landscaping that requires little weeding, pruning or watering. Do without a pool, or choose a community with shared amenities overseen by HOA-funded grounds crews. Finally, don’t forget about all that extra space; investing in more square footage than you need just means you have more to clean, heat, cool and furnish. If you are a senior looking for a new home, and/or planning to relocate to Las Vegas to enjoy your retirement, our team at New Home Resource can help you find a property to love! BUYING A HOME: HOW HAS IT CHANGED? Buying a home is an exciting time. Even more exciting if it’s your first home (holy moly, that is such a thrill!). If you find yourself lucky enough to be a first-time-buyer, you may have heard a lot of stories about how the process works, what you need financially, and a lot of other advice from friends and family. But times change, and some of the things that were true in the past about buying a home aren’t necessarily true anymore. So just in case you might have come misconceptions about what happens when buying a home – whether it’s your first home or your seventh home – we’d like to provide a few updates about how the process works these days. Do you need 20% down to get a mortgage loan? It’s not uncommon for buyers to think this is the norm – because it was for so long. However, there are many new programs and opportunities available to homebuyers who have gone through financial hardships during the past few years, who may not have 20% of the purchase price available, and whose credit may have been dinged by the Great Recession. These days, the FHA will back a loan from a home buyer with a credit score as little as 500 and a 10% down payment. If your credit score is higher than 580, some lenders can help you with only 3.5% for a down payment! It’s certainly easier to be able to afford buying a home today than many people think. Your best bet? Meet with a mortgage lender for advice – even if you’re just curious about whether or not you can get into your own home, or if not now – what can you do to make it a possibility in the near future? Our recommendation – a local mortgage broker is your best bet – one like Premier Mortgage Lending. Not only will you be supporting a small, local business – but because they ARE local, they know the area and the industry, which can serve you quite well in achieving a smooth and untroublesome transaction. Can you can save money by not using a real estate agent? For Buyers – it simply makes no sense not to use an experienced REALTOR® or real estate agent. Yes, they receive a 3% commission. But remember this: The Buyer is not the one that pays that fee – that falls to the Seller. In fact, with the help of your own REALTOR®, you’ll have someone who is able to help you negotiate a better purchase price because of the wealth of knowledge they may possess about that property. They will also take care of all the paperwork, appraisals, inspections, and other matters that are part of the process. Today, there’s no doubt that you need their expertise to guide you through this life-changing transaction. Is it cheaper to buy a home that needs a lot of renovating? We’ve all seen the TV shows where people buy a fixer-upper and turn it into their dream home. And thanks to the cameras and bright lights, they make it all seem so easy. But in the end, all of these repairs take time and money. And usually the case is that people end up getting tired of all the renovations and don’t end up loving their new home. Remember then, if you need to tear down the walls to make a home look good – and you lead a busy life like most of us – perhaps unsettling your life for a longer period of time to make major renovations isn’t for you. If you’re ready to buy your first home, let the professionals at New Home Resource help you make it a reality. We know the Las Vegas valley like the back of our hand – and we’ll be happy to answer any questions about the process and make sure you have the right information going into it. New Home Resource helps current and future homeowners with all of their Las Vegas real estate needs. Whether your preference is for property management, a newly built home from a local builder, or a resale property in just the right location, a New Home Resource Realtor® is here to provide the service you’re looking for. Please contact a New Home Resource Realtor® today at 702-365-1000 or visit www.newhomeresource.com. Broker Joanna Piette, and agents Denise Thrasher, Jessica O’Brien, Evelyn ‘Beng’ Kern, Kathy Paterniti and Heidi Colón are all here to help! You’ve found the house. You’ve got the loan. You’ve signed the papers. You picked up the keys. Now – it’s time to find a mover! Well actually, you’ve already been spending time figuring out how to get your personal belongings from Point A (old home) to Point B (new home) – because it’s not a decision that’s made overnight. And goodness knows that packing and preparing doesn’t happen overnight, either. Plus, if you’re moving long distance, you need to worry about timing, maybe pets, your travel, delivery dates – wow. This is a HUGE project, isn’t it? That’s one of the reasons that it’s so important to spend some quality time finding your solution to who/how/when to get it all done. Your first step once the house is chosen and the mortgage is in process? Finding a mover. We thought we’d lend some helpful advice on how to make that choice. Here are some things to think about during the process. Ask friends and family for referrals. You’re more likely to get unbiased, honest assessments this way. And if somebody you know recently used a mover, ask about his or her experience. A happy customer is a good indicator of a company with sound business practices. 2. Check with Your REALTOR®. Think about it – real estate agents are in the business of helping people acquire “Point B” – so the odds are, they know plenty of people and even moving companies who have made it either a pleasure or a nightmare for the customer. Ask the agent who helped you buy your new home – and check with any other real estate agents you may know for recommendations (or at least tips on who to avoid!). 3. Do Your Own Online Research. Check for ratings – from outside agencies (Nevada Transportation Authority, U.S. Department of Transportation, Federal Motor Carrier Safety Administration (FMCSA) – even the Better Business Bureau) to see if there are consumer complaints logged or any past or pending actions against the company you’re interested in. Another check with the FMCSA can indicate if licensing and carrier numbers are current, as well as safety and fitness records. Check with the American Moving and Storage Association (AMSA) to ensure licensing and insurance, too. 5. Ask Questions About Their Policies. Financial: Request a written estimate – and pay attention to how thorough they are in looking at all your belongings (each room, every closet, garage, etc.) – to make sure they’re giving you an accurate estimate. (By now, you’ve probably heard about movers who “underestimate” and hold people’s belongings hostage until they pay thousands of dollars more for the additional moving and space (a very good reason to read their contract closely before signing, too). Do they have a price guarantee? Do they require a large deposit? (That’s a red flag.) What are their credit and debit card policies? Refund policy? These are all things you’ll want to know during and after the process. Services: Be very clear about understanding what is (and is not) included with their service. Packing AND unpacking? Taking furniture apart AND putting it back together? Appliance hook-ups? What if there are stairs? Do they insure? What is their warehousing policy? What is the timetable for the move? Do they provide an inventory? How to file a damage report? Naturally, these questions are just the start. And if you’re doing an in-town move, you may be lucky enough to get a great referral from a friend with a fabulous experience – and it’s all easy peasy! 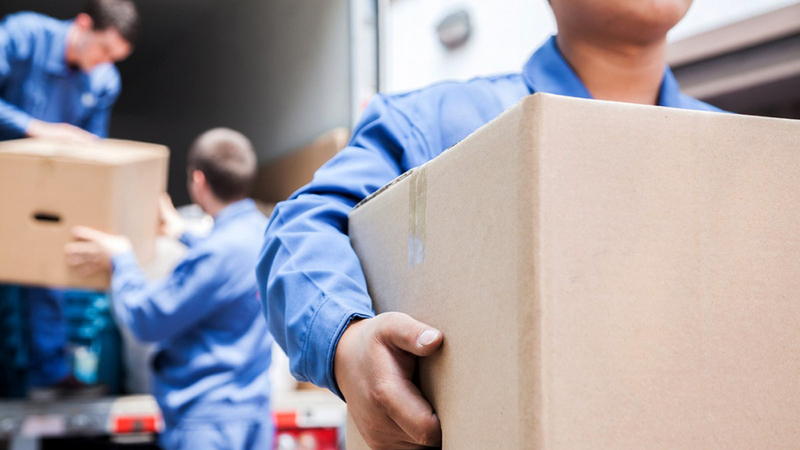 But longer distance moves require a bit more due diligence on your part to make sure when it’s all said and done, you’re happy with both the experience and the condition of your belongings. Changing your home location involves a lot more than just finding the home you love. It involves making sure you get the best mortgage, all the legalities are met — and that part about asking your REALTOR® for advice about movers? We can help you with that, too. One more reason an experienced real estate professional should be the first stop on your list when looking for a new home. Just in case these real estate photos don’t explain it all without a thousand words, we’d like to add a few comments about what a huge difference the right real estate photos can make in ensuring your listing gets noticed – and your home gets sold faster. First, rest your eyeballs on the bottom row…then take a look at the top row. Is there any doubt in your mind that a smartphone photo (more than likely what was used for the “Before” photos) – may look ‘okay’ to you – until you see the difference a professional real estate photo can make? It’s an easy mistake, often made because people want to save time, money, and hassle. But look at these real estate photos again with this thought in your head: If these were two different homes, which one would *I* want to buy? Right then. You see what we mean. Appearances matter. And as we’ve mentioned before many times, first impressions are among the most important things for buyers – because they are looking at potential homes for their family in an emotional manner (not a rational one). That’s why it is so important to get it right the first time. And since over 90% of buyers now start their new home search online – the listing real estate photos have to give an impression they are going to LOVE – or your home may get passed over before it even gets seen. The truth is, in this internet age, photos sells homes. Great photos give you a distinct advantage over your competition and can truly be the difference between a buyer – and no buyer. Perspective, time of day, color, brightness, sharpness – plus professional editing – are worth the expense in marketing your home. In fact, it’s believed that the quality of the photos of your home are the second most important part of your listing – right behind pricing. It’s not quite a thousand words, but we believe these photos speak for themselves. What are your thoughts? We’d be happy to discuss this topic with you, and many others that pertain to a successful home listing – and what sets New Home Resource apart from our competition, too. REALTOR® and Real Estate Agent: Is There a Difference? YES! 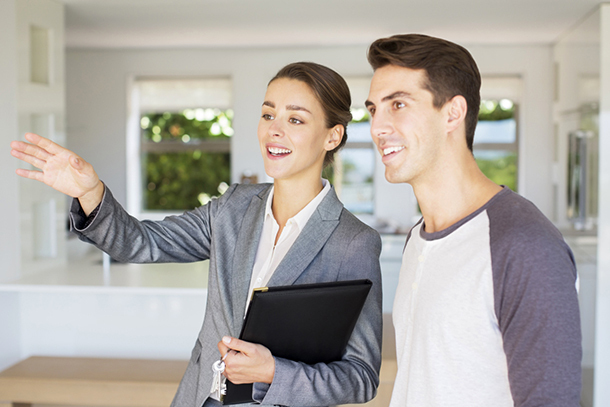 One of the things we recommend home buyers and sellers pay close attention to when interviewing a real estate professional to handle their transaction is whether or not the professional they are speaking with is an actual REALTOR®. The fact is, many people, both inside and outside the industry, use the terms “real estate agent” and “REALTOR®” interchangeably. What those IN the industry are relying on, though, is that the consumer doesn’t really know the difference – and that one is just as good as the other. After all, they both just help you buy and sell real estate. Right? While they’re both licensed to sell real estate, the names each refer to a specific type of real estate professional, and there are notable distinctions between the two. A real estate agent is anyone who is licensed by your state/county/city to help people buy and sell property (both residential and commercial). They may be a sales professional, an associate broker, or a broker themselves. In Nevada, becoming a Real Estate Agent simply requires completing 90 hours of pre-licensing education, then passing the Nevada Real Estate Division exam. This exam covers national, state, and local real estate law, standards and practices, and also requires continuing education to renew licensing fees. Second, to join the NAR, it requires joining one of 1,400 local NAR real estate associations, an application fee, and approval by the Board of Directors. At first glance, these may not seem like the strictest of standards, but they do whittle down the field to those who are wholly dedicated to the industry. The truth is a large percentage of ‘real estate licensees’ in any given state are not full-time agents. Many dabble with real estate on the side, list homes only for friends and relatives, discovered that they’re not really the right fit for the industry – but they’ve put in the time and paid the license fee, so they’re keeping it active ‘just in case.’ To put it mildly, these are not the type of people you want to handle the purchase or sale of your home – your most important and personal investment. So those first two bullet points are very important. And while hard times (such as bankruptcy) can hit people unexpectedly (which we certainly saw by the boatload when the economy crashed in 2008) – knowing that your real estate professional is not driven by financial hardship can also give you, as a client, some peace of mind that they are acting in your best interests at all times. Finally, the NAR’s Code of Ethics is what separates REALTORS® from non-member real estate agents. It outlines the agent’s duties to clients, customers, the public, and other REALTORS®. These five requirements are the reason many serious real estate professionals choose to become REALTORS® – as it verifies the expectation consumers have (or should have) that they are working with an agent who has sworn to treat all parties fairly and honestly. And now – you know what it means when you see the title of REALTOR® in advertisements or marketing materials for those in the real estate industry. As REALTORS® at New Home Resource, it insures that all of our agents are dedicated to performing honestly, ethically, and legally on behalf of every client we serve. Give us a call – we’d love to explain to you how we do it! It’s no secret that everyone at New Home Resource loves the Las Vegas community for more reasons than we can count. That’s why we’re so active in volunteering to work with a number of local charitable organizations – because it’s important to support causes that we truly believe can make a difference in people’s lives. That’s especially true when it comes to kids – and bikes. Because we know from experience when you put the two together, it can help encourage kids to perform better in their education and physical fitness – and that’s a major win! As the founding President of Breakaway Cycling, Joanna Piette has been instrumental in guiding this non-profit toward some great achievements along those lines (and now, you’re about to see how this is the perfect segue into an upcoming event we’re thrilled to be involved with!). Each summer, students lose critical math and literacy skills, widening the achievement gap and requiring substantial remediation at the start of each year. 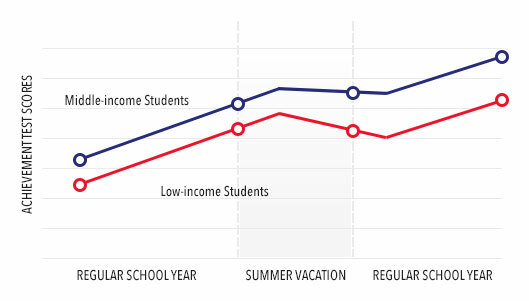 It’s known as the “summer slide,” often affecting low-income students the most, when the two months of summer vacation lead to a loss of learning in critical areas – especially reading and math skills. 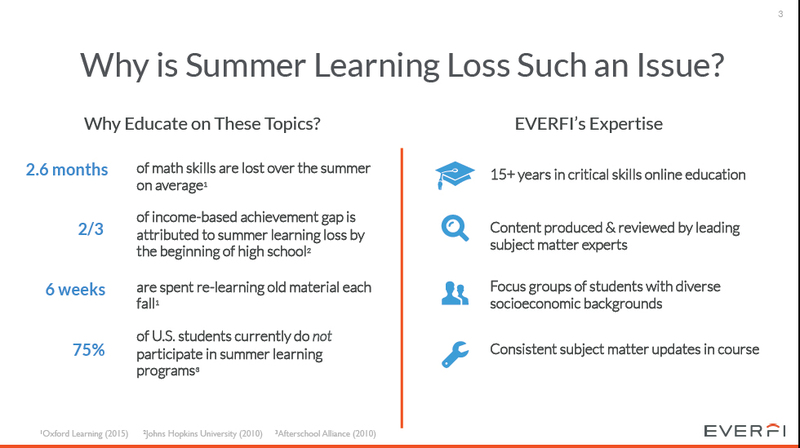 One notable effort to reverse this trend has been made by Major League Baseball and EVERFI – who have teamed up to fill in this critical learning gap through the Summer Slugger Program. It’s a free, fun and interactive, online course that uses the game of baseball to help kids from 8-11 (in 4th and 5th grades) maintain their math, literacy, and enrichment skills during the summer months. And the summer of 2018 is the first year that Breakaway Cycling and New Home Resource are working together with the Las Vegas 51s to enhance this program even more. As an added incentive, Breakaway Cycling will be rewarding the top 50 kids who complete the Summer Slugger Program with new bikes, helmets, and locks. The bikes will be presented at a rodeo cycling event that takes place at Cashman this fall. The program was launched on May 10th at Eva G. Simmons Elementary School by the Las Vegas 51s and Breakaway Cycling – in front of 240 children who had an opportunity to meet several 51s players and their mascot, Cosmo. A panel session also took place where the 51s players and Breakaway participants spoke with the kids about the importance of sharpening skills sets and training in the off-season – all in preparation for the coming baseball season and cycling events. Also discussed was the importance of helmet and biking safety, and the kids were given the chance to see the bikes they have an opportunity to win. We’re all too excited and looking forward to the Bike Rodeo this fall, and the chance to support and congratulate all the kids who chose to participate in the Summer Slugger Program. If there’s only one thing these kids take away from this experience, it’s that learning really IS fun…especially when you can keep moving ahead (and don’t have to re-learn things every year). Family is the best, isn’t it? People you’ve known all your life that you can trust and rely on, especially when the going gets tough. (Well, in some families, anyway.) If you have a good one, then you know there’s a lot of love and caring between all the generations, and the ties between you are strong, indeed. But when we hear a statement like that in the headline of this article, we can’t help but cringe. And it’s not necessarily because such REALTOR®/Client relationships turn out badly (which they can). It’s more a matter of even if they turn out well (which they can, too! ), it most likely could have been an even better result by working with an experienced and reputable REALTOR® – that the client wasn’t related to. It’s one thing if a straight business deal runs into a snag. You can simply walk away afterward, and life goes on. But if you’re doing business with a family member who isn’t providing the service you’re expecting, what do you do? Sometimes, deals like these go badly because no one wants to hurt a family member’s feelings, so they end up lowering their standards to avoid a tough conversation. And (heaven forbid) – if you do end up having to fire them, that can turn into a family drama that could sever more than one familial relationship. It’s a dilemma, that’s for sure. We’re not saying that just because you’re related to a REALTOR®, that you shouldn’t hire them to represent you. What we are saying is before you do, make sure that person has certain professional qualities that you need and deserve – because after all, we’re talking about a substantial financial investment. And if being a family member is in addition to those qualities – then you could have a winner! What are the qualities that should come first on your list? 1. They’re a Top Performer in their field – with the experience and drive needed to find you the right home. 2. Their expertise is in line with the kind of help you’re seeking. 3. Providing timely and exceptional service is one of their top priorities. 4. You’re comfortable asking questions, expressing your opinions, and stating your expectations to them. 5. No pressure – they understand the final decisions are up to you. 6. Their goal is to give you all the information you need to make those decisions. 7. If you weren’t happy with them, you know you could fire them without life-altering consequences. If #8 also happens to be “They’re actually part of the family” – then, hey – problem solved! Searching for assistance in buying or selling your home? The team at New Home Resource can help you with that. We invite you to call and “interview” us to see if we might be the best fit for your needs. That excitement isn’t only for the fans, either. With professional organizations like this, there are new people moving to town – working for the league, servicing the influx of visitors, providing the new commerce that surrounds a major addition like this to a city. And with Raiders Stadium under way, that level of energy is only going to keep growing. The truth is, that’s one question that should be very near the top of the list – because a reputable and experienced REALTOR® is someone who can help you with several of multiple decisions you’ll confront with a big change of location. “Which part of town should I choose? How to determine the best schools, traffic, shopping, and recreation spots? Where is the best resale? Low crime statistics?” – and so much more. Your REALTOR® should be able to help you clarify your needs and wants, provide information to help you make informed decisions to meet them, and work for you to find exactly the right property at the right price for you and your family. • How long have they been working in real estate? The most important thing about choosing the right REALTOR® is this: Start by doing your own research. And one of the easiest things you can do is simply pick up the phone. There’s a lot to be said for a company’s culture in how they treat every customer (especially the “potential” ones). At New Home Resource, our team is among the most experienced, helpful, and friendliest in the city. We’ll be happy to prove it – just give us a call! 702.365.1000. IS YOUR HOME TURNING OFF POTENTIAL BUYERS? You’ve listed your home for sale, it’s been weeks, and not only do you not have any offers to buy yet – you haven’t even had anyone come to see it. What’s going on, you ask? o Problem with that: No exposure to potential buyers. People don’t know about your home. • Reason #2: You listed it with a “discount agent.” You’re paying a low fee (1% or similar) for an MLS listing. o Problem with that: That agent isn’t advising you properly on how to show your home to its maximum advantage, nor are they promoting or marketing your home. Your listing is not getting any attention in a crowded seller’s market. • Reason #3: The REALTOR® you chose may not be as experienced as you thought. o Problem with that: Perhaps your listing photos are sub-standard (since most people begin their home shopping online, photo quality and home appearance is critical! ); they aren’t familiar with your area – so perhaps you’re priced too high or too low, which can make buyers wary (think about how pricing affects your impressions when you shop in a department store…it’s the same thing). The truth is, there might be several reasons that your home hasn’t sold – and they may have nothing to do with your home itself, and everything to do with the prevailing market, or interest rates, or something else that’s not personal to your home. BUT . 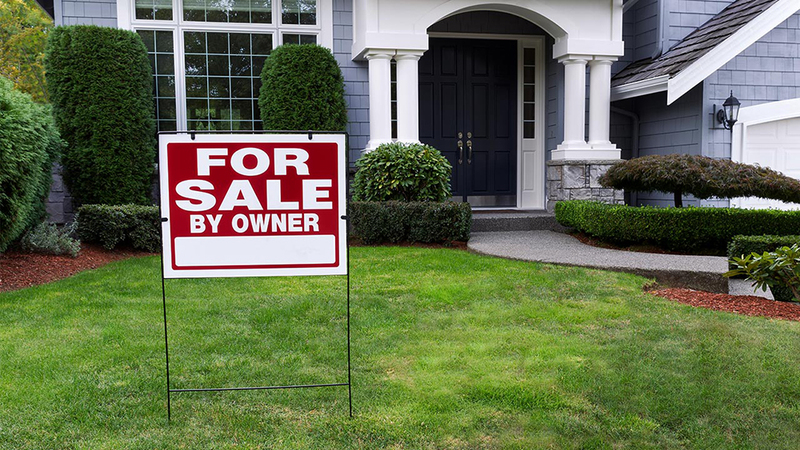 . . there are occasions when it actually may be your home – or the things in your home – that could be affecting your ability to sell. The right REALTOR® will tell you about these things up front, because they know from experience how to help you put your home’s best face forward and gain leverage on all the best traits your property has to offer. However, not all agents know, or are comfortable telling their clients, uncomfortable facts. (After all, no one likes to give bad news, right?) So just in case, we’d like to share a list of things you should consider regarding your home to see if they might be a turn-off for buyers – and might be keeping them from seeing all the potential your home might hold for them! 1. Live Animals. Now, we’re not saying that a home shouldn’t have animals. But what we are saying is that they should be contained (or out of the home) whenever someone plans to view your home, and that any odors or mess associated with them should be eliminated. We know it’s not always easy to do – but when a home is for sale, it requires extra attentiveness during this time. 2. Dead Animals. Okay – we know this is going into the ‘politically correct’ arena – and we certainly don’t mean to offend anyone. However, the truth is, you’re trying to sell your home, not your taste in décor. If taking down the animal trophies from the wall or other such items will help you do that, then all the better. Don’t risk alienating a buyer – and leaving a negative impression – because they may not agree with your opinion on this topic. The fact is, they have many homes to view and choose from . . . but you have only one to sell. Make it as easy on yourself as possible. Pack these items early (saves you time later, anyway!). 3. Political Paraphernalia. These days, it is so easy to offend – even our own family and friends, as we all know. And since we’re talking about your financial well being in getting the best possible return on the sale of your home, this is one thing that we strongly recommend putting aside when showing your home. Flags, signs, and the like can also leave a bad impression – and as we all know, you don’t get a second chance to make a good first impression. 4. Drugs. We seriously never expected to have to state this one out loud, but now with the legalization of marijuana in our state, coupled with the fact that we have so many people move to Nevada from other states, it’s one of those things that can color a buyer’s impression. The presence – whether seen or smelled – can make an impression on visitors that might not be in your best interest of making a sale. Certainly the four items mentioned above don’t cover all the possibilities – after all, we are all individuals with our own tastes! But to make sure that your home, which is, of course, perfectly normal and acceptable to you and your lifestyle, will show as well as possible to a potential new owner (so that you can get on with things as quickly as possible) – be sure to work with an experienced REALTOR® who can help answer those questions for you – honestly, accurately, and in your best interests. New Home Resource helps current and future homeowners with all of their Las Vegas real estate needs. Whether your preference is for property management, a newly built home from a local builder, or a resale property in just the right location, a New Home Resource REALTOR® is here to provide the service you’re looking for. Please contact a New Home Resource REALTOR® today at 702-365-1000 or visit www.newhomeresource.com. Broker Joanna Piette, and agents Denise Thrasher, Jessica O’Brien, Evelyn ‘Beng’ Kern, and Kathy Paterniti are all here to help! 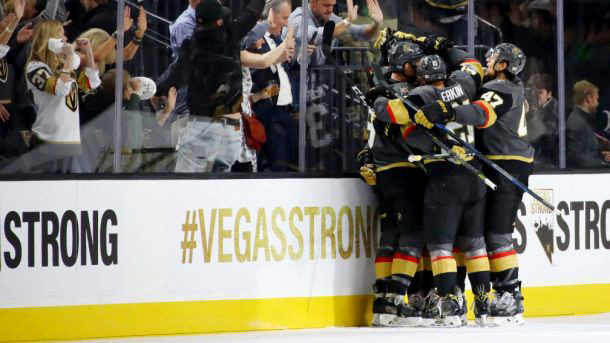 Here in Las Vegas – where the weather is awesome for most of the year (except for those annoying few days of summer) – we get used to the eye-rolls when we talk about the weather turning cooler. We know we’re not going out to shovel snow for the next 3 months, or keeping an eye out for nor’easters to make sure our storm doors are up in time. But the change of seasons does happen here!! And in a totally awesome and enjoyable way. That’s why when it does, we like to make some seasonal changes in our home environment, too. Even though it might not be -10° outside, we still want to put away the shorts and tank tops so we can finally pull out the comfy sweaters and jeans. (We don’t get to wear them often, you know.) Not to mention, with all of the autumn and winter outdoor activities there are to enjoy in Southern Nevada, yes – we all get into the spirit of the season, too! That means we’re also adding seasonal touches of décor in our homes that reflect the holidays and upcoming celebrations. Besides, it’s also the perfect time to start getting organized and to rid yourself of that clutter and clothing that’s cramping your style. (Are we right?) So, ready for a few suggestions? Let’s get started! Start with the Closets . . .
• Pull out the spring and summer clothes, and remove those items you haven’t worn in over a year. (Don’t lie to us, we know that you know – deep down inside – that you probably never will again). 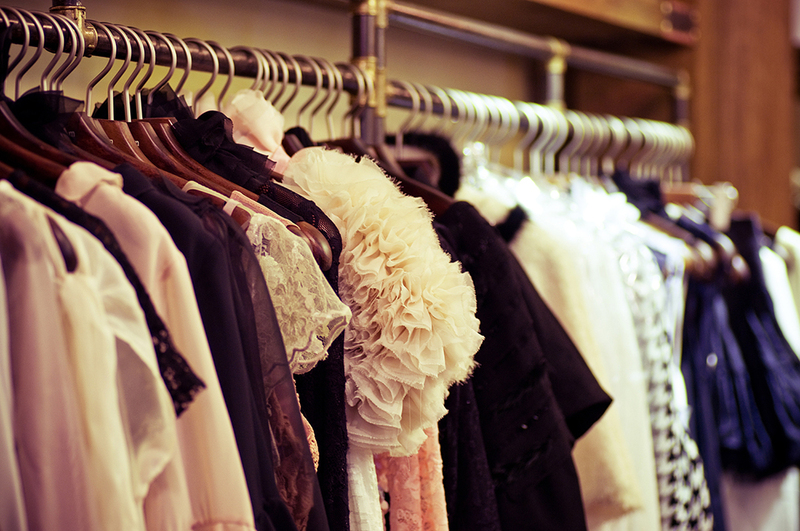 • Go through any boxes and non-clothing items in your closet and throw away anything you don’t need. Head to the Kitchen . . .
• And, if you have food items in your pantry that you know you won’t use before they expire, donate them to a local food bank. Then Dress Up the Place! • Making holiday decorating an event and enlist the family to help. • If you like to set up decorations the same way each year, don’t just leave it to memory. (Especially if you have “Monica Bing” syndrome.) By taking photos and notes, you never know – one year, someone may want to surprise you by doing it all for you – just how you love it! But get started, because the weather’s cooling down, the leaves are turning (yes, we have leaves turn in Las Vegas – jeez! ), and it’s time to start creating some family and holiday traditions.